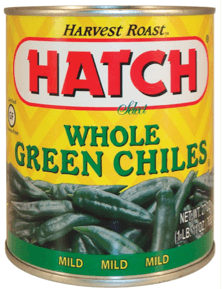 The Hatch Chile Company is a brand leader of superior quality New Mexican and Southwestern food products to the supermarket and grocery industry in the United States. Our products include green chile peppers, jalapeno peppers, enchilada sauces, and salsas. The HATCH and HATCH Select brands are currently distributed in supermarkets and small grocery stores in all fifty U.S. states. Our company was founded in Albuquerque in 1987, and we are proud of our native roots and our ties to New Mexico. We believe that the green chile peppers grown in Southern New Mexico are a treasure, and most of the HATCH Select branded green chiles are sourced from local chile growers near the Village of Hatch and throughout Southern New Mexico. The New Mexico green chile harvest is a special time of year. In most years, the harvest occurs from late July to early October, and during harvest, green chile peppers are picked by hand and delivered to our green chile facility for processing. At the green chile plant, the fresh peppers are washed, steam peeled, fire roasted, and packed – all within 24 hours of picking. This process helps ensure that HATCH Select branded green chiles have the best flavor and freshest taste of any green chile available on the market. We are passionate about food products, and we are also passionate about our product quality and flavor. We were the first national company to eliminate monosodium glutamate (MSG) from our enchilada sauce recipes. We continue to lead the way with Certified Gluten Free (GF), NON-GMO Project verified, and USDA Organic certified enchilada sauces. 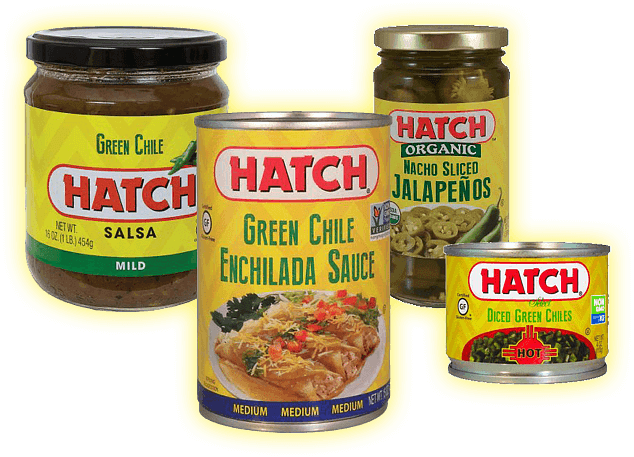 So, the next time you are in your local grocery store, try one of our HATCH or HATCH Select branded green chile or enchilada sauce products. We are confident that we will quickly become and remain your “go-to” New Mexican and Southwestern food brand. Hatch Chile Company is indeed New Mexico True.